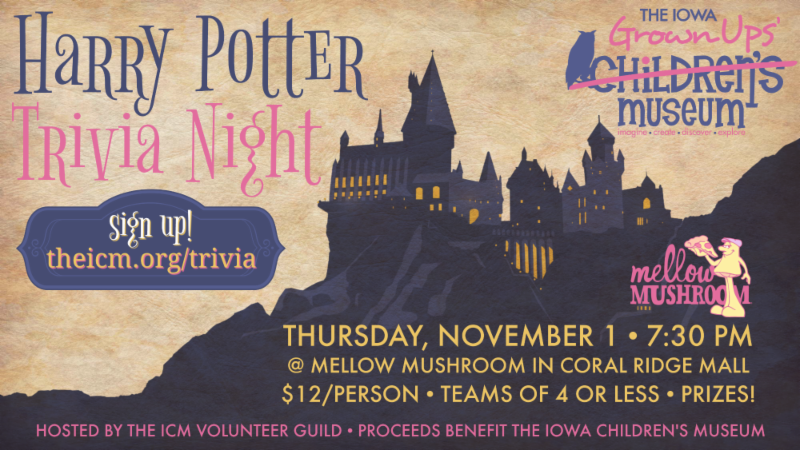 The next best thing to your Hogwarts acceptance letter has arrived... an invitation to Harry Potter Trivia Night. 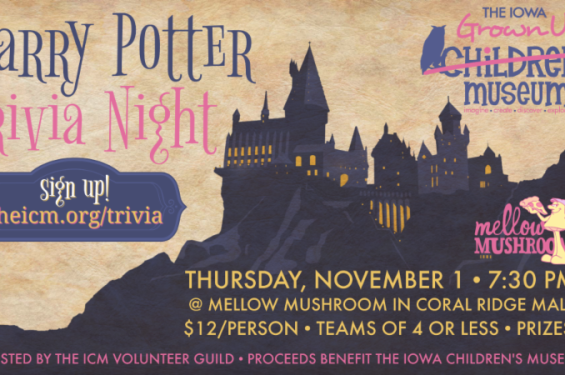 Join us on November 1 at Mellow Mushroom for an enchanting evening of showing off your knowledge about Hogwarts, the dark arts, spells and potions, and magical creatures. $12 per person | Teams of 4 or less. Each team will receive a FREE appetizer compliment of Mellow Mushroom. Prizes will be awarded to the top teams.